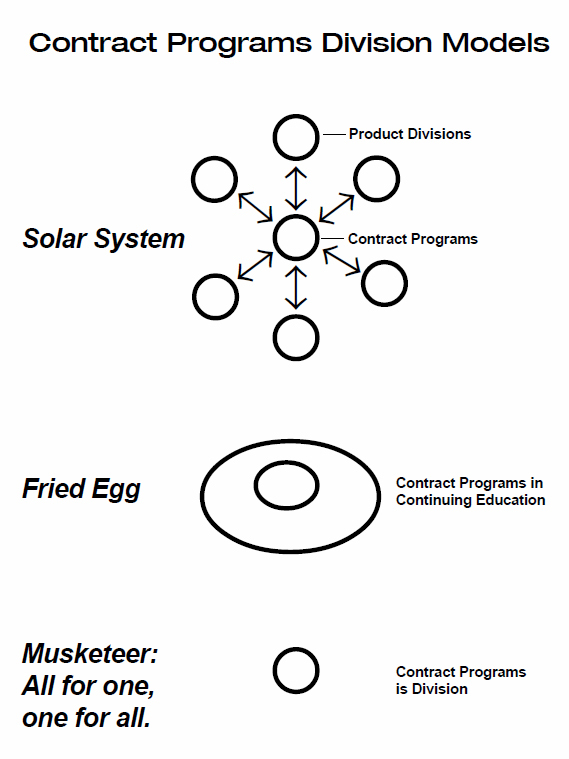 In the solar system model, the least effective of the three, each division is separate and has its own priorities and own agendas. Often the contract program will feel hamstrung in trying to deal with individual divisions to achieve its potential. to do sales for the contract training program. is great freedom and the potential for entrepreneurial success, those operating in this model may find their department lacks the support network of the school at large. For more information on Contract Training, download our free white paper "Get More With Better Proposals"!